Dogs have been companions to human beings for most of humans’ recorded history. Whether used for work - guarding, mostly - or simply as companions dogs feature in the ancient stories of many human cultures. Today, dogs are more popular than ever and the number of breeds has increased significantly. Valued attributes in dog breeds include: looks, ease of training, suitability for families with children and ability to guard premises. 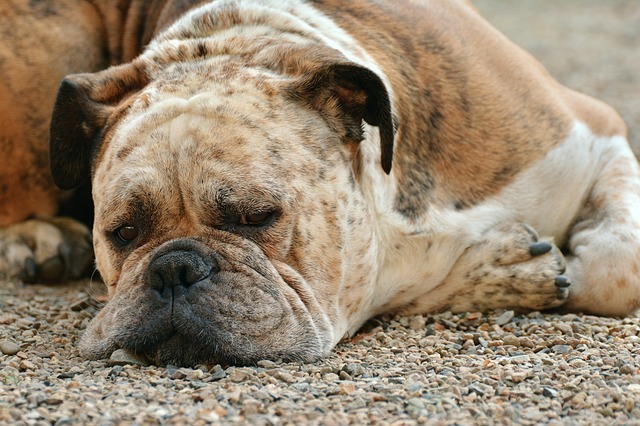 There’s no single factor that contributes to the popularity of dog breeds. And, sometimes, dogs are popular despite having some drawbacks. 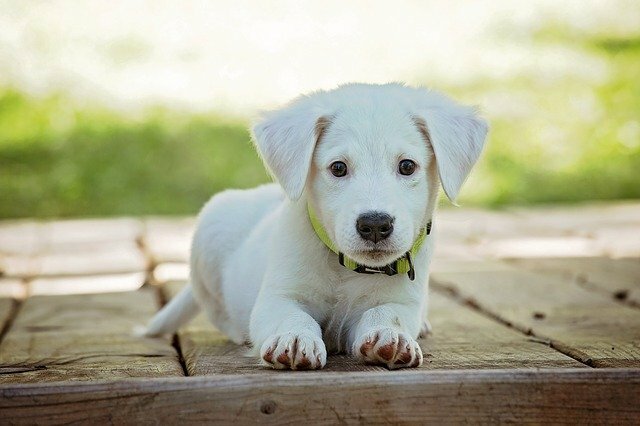 Studies of dog choices reveal that the above attributes are not necessarily the only ones considered by people buying a dog. Breeds seem to be mostly chosen for size and looks - ‘cuteness’ and ‘fierceness’ are factors for different people - with little regard to other important characteristics of the breed. 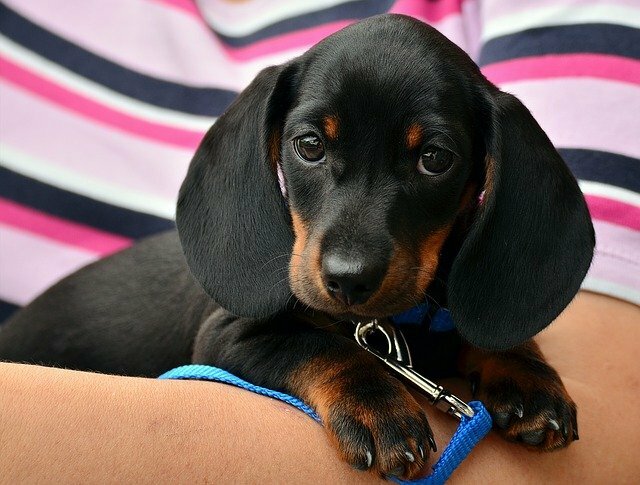 Three of the top 10 breeds - the Chihuahua, the Schnauzer and the Dachshund - score low for ‘ease of training’. The first two are valued for being cute-looking while the Dachshund is favoured for being fearsome-looking. Yet these three breeds have a dark side - behavioural problems that their owners possibly gave no thought to when choosing them. All three exhibit fear of strangers, fear of dogs, strong rivalry with other dogs and touch sensitivity. Both the Schnauzer and the Dachshund score high for dog aggression. Yet size (smallness or largeness) plus looks (cuteness or fierceness) have made these breeds more popular than one might expect if we only looked at their behavioural problems. But other, perhaps unexpected factors, also creep into the mix. Not least of all is films: popular movies can affect the popularity of breeds for up to 10 years after the film’s release. Movies such as 1943’s Lassie Come Home led to a 40% increase in sales of collies while Disney’s The Shaggy Dog led to a hundred-fold increase in the popularity of Old English Sheepdogs. And it’s no surprise that sales of Dalmatians rocketed after after 1985’s hit movie 101 Dalmatians. The movie effect is less pronounced these days in the past - there’s more films coming out featuring dogs than before so the effect is weakened - but nevertheless humans buy with their eyes and if they like what they see on a movie then it affects their choice of dog. But again we see that the breeds popularised by movies are not necessarily breeds that exhibit the most valuable traits. 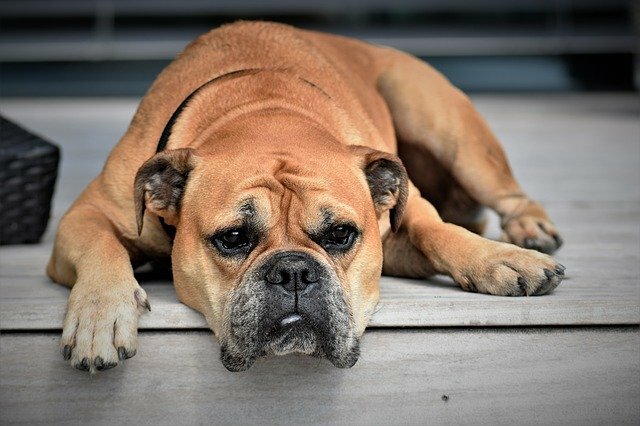 Overall, what we see is that breeds who exhibit better behaviour or who are healthier overall or who live longer show no marked popularity over other breeds at all. Stranger still, some of the unhealthier breeds are also amongst the most popular. The size of a country affects popularity too. If a dog breed is very popular in a country with a large population then that skews figures in that breed’s favour - even if the breed is relatively unknown outside that country. So there are plenty of factors determining a breed’s popularity relative to others. However, the only statistic that actually measures breed popularity is the number of dog registrations per breed. So this tells us what is popular without explaining why it’s popular. Below then are the top 50 dog breeds in the world. Enjoy! Breed groups bring together dogs that share some similar trait or traits. The groups are mainly used for dog shows where breeds are sorted by category and then judged. Big and strong these dogs were bred as guard dogs, work dogs (pulling sleds for example) and as rescue dogs - especially in water environments. Examples of dog breeds in this group include the Siberian Husky, Doberman Pinscher and Great Dane. Their size and strength make them less suitable as pets for ordinary families - they need exercise, work and proper training. 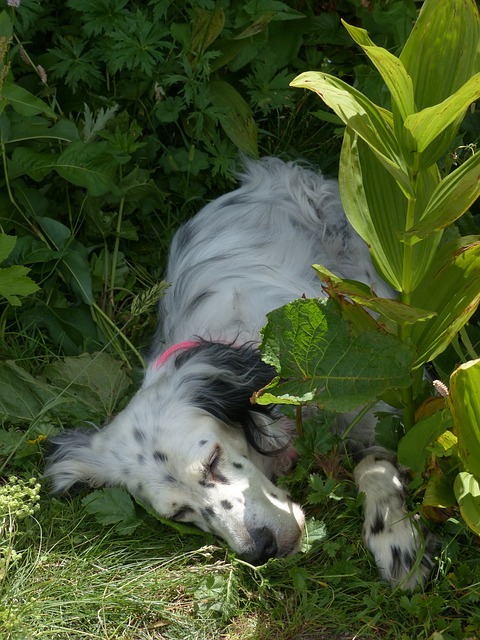 Bred as hunting dogs sporting breeds include pointers, setters, retrievers and spaniels. They love field activities - especially in water or in woods. Breeds in this group require daily vigorous exercise so may not be suitable as pets for average families. This group is very loosely defined and contains breeds that simply don’t fit neatly into any other. So in this group you find the Keeshond, the Chow Chow, the Dalmatian and the French Bulldog. 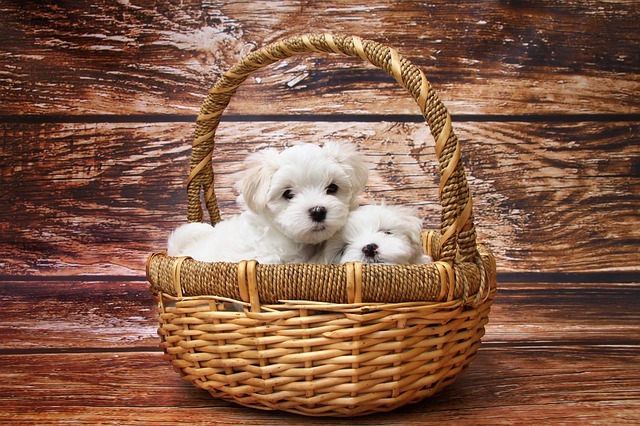 Common breeds include the Lhasa Apso and the Poodle. The dogs in this group share two particular features: size (small or very small) and delightful looks. Don’t be fooled by these looks though - many of these breed bark ferociously and they’re as tough as leather. Breeds in this group are often popular with city dwellers - they don’t require lots of space in order to get a decent amount of exercise. Dogs in this group are instinctive herders and some, like the Corgi, will efficiently drive a whole herd of cows - many times bigger than itself - to a new field simply by barking and nipping at their heels. Whilst easy to train the herding instinct can’t be removed and it drives them to sometimes attempt to herd the children in their household! Dog breeds in this group are hunters. They use a powerfully developed sense of smell to trail their quarry before applying their huge stamina to run that quarry down.Many hounds bay rather than bark - you might want to to hear it a couple of times before adding a hound to your family just in case it’s not to your liking. Terriers have a personality all of their own: determined, energetic and generally intolerant of other dogs. They’re always up for an argument and are best owned by families able to keep up with their lively characters. A firm favourite in the UK, USA, Canada and Australia the Labrador Retriever are friendly, affectionate, good-natured dogs. They’re excellent family pets and love human company. The Retriever has an even temperament and responds enthusiastically to stroking, tummy rubs and all human attention. He’s very playful - so isn’t an ideal guard dog! 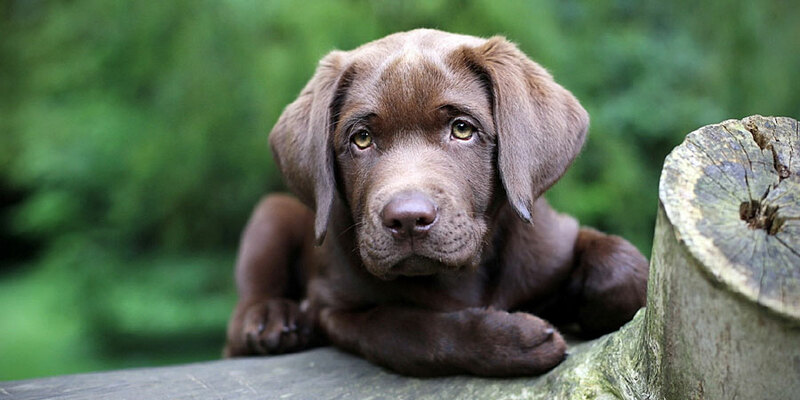 The Labrador Retriever is one of the most intelligent dog breeds in the world. This means he learns commands quickly and so amongst the easiest of dog breeds to train. More facts about the Labrador Retriever! This breed is Canadian. But from Newfoundland - not Labrador! Labradors come in three colours: yellow, black and, yummy chocolate! They’ve got webbed toes - which makes them great swimmers! A Labrador called Bosco won the mayoralty of Sunol (California) in 1981 - beating two human candidates! Lots of celebs love the Lab! Prince Charles, Sylvester Stallone, Shannen Doherty, Keith Richards, Harrison Ford, Bill Clinton, Arnold Schwarzenegger, Frank Sinatra, Tom Cruise, Barbara Mandrell, Richard Pryor, Dennis Quaid, Meg Ryan, Kevin Costner, Sheryl Crowe, and Vladimir Putin. You’ll see this dog breed used by many police forces - and military institutions. Why? Because the German Shepherd is a strong, brave and loyal breed. Added to that, he’s very intelligent, he learns quickly and is physically active. Be careful though: his owner needs to establish boundaries and ensure his German Shepherd understands who is in charge - fail to do that and he’ll assume it’s him! A very intelligent animal the German Shepherd will learn commands quickly making it one of the easier dog breeds to train. Here’s some more German Shepherd facts! They shed lots of hair! Celebrity owners of German Shepherds! 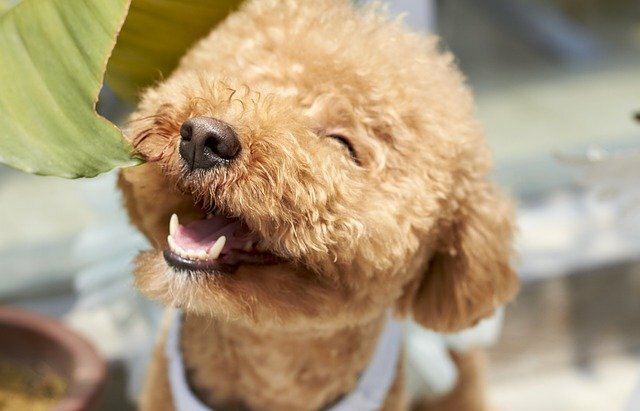 Don’t be fooled by the poodle’s soft, cutesy appearance - this is a strong and energetic dog! He’s playful, loves to swim and mixes well with humans and other dogs alike. Another intelligent dog breed the poodle learns quickly and so training him a straightforward. Although poodles are now the national dog of...France! 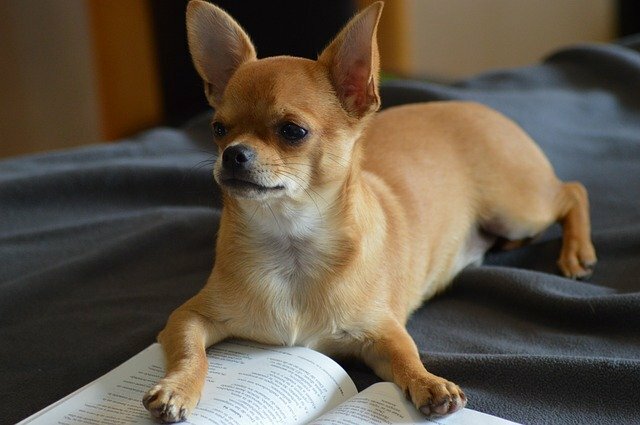 A confident, quick-tempered dog the Chihuahua will take on anyone and anything - be it a stranger coming to your house or another dog five times his size. He responds well to human affection but will nip at you if he feels teased or harassed. Because he barks at everything he makes a great guard dog. And because he’s one of the smallest dogs around he can get plenty of play and exercise even in an apartment so he’s well suited to homes that have no garden or play space. Self-assured and a little on the aggressive side the Chihuahua is not easy to train. He learns more slowly than other breeds so the key here is patience. A loving, playful and outgoing dog the Golden Retriever gets along with everybody. And that includes other dogs! He has lots of patience, he’s difficult to irritate and so he’s an ideal dog if you have children. His high energy means he runs, swims and plays constantly - he loves being outdoors or going on the dog treadmill! Despite his playfulness the Golden Retriever is a good learner, he picks up new commands quickly making it easy to train him. Golden Retrievers make bad guard dogs for one important reason - they’re too friendly! Famous owners of Golden Retrievers! 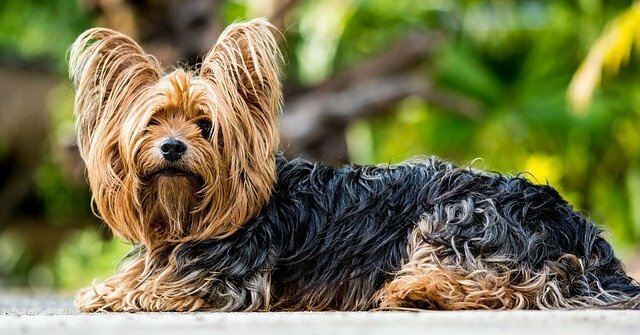 The Yorkshire Terrier is a dog with personality! He’ll fight anyone and is scared of nothing. He’s alert, full of energy and playful. He takes well to humans - including strangers - but is wary and sometimes aggressive with other dogs. Whilst not as easy to train as a Retriever or German Shepherd the Yorkshire Terrier does pick up new commands fairly easily so isn’t too difficult to train. The Dachshund is a hunting dog by temperament so will chase anything that runs away from him. He’s independent-minded and tends to bond more closely to an individual rather than a whole family. That said, he’s playful, will chase a ball and gets on well with children provided they don’t set out to provoke him. The Dachshund’s independent nature means he is less susceptible to instruction; he does learn commands but takes a little longer than other, easier breeds. This breed is led by his nose! He’ll stop anything he’s doing if he picks up an interesting scent - and he’ll wander off to explore further if he’s unleashed. Despite being a territorial dog he’s playful and sensitive and is a loving companion to his human family. 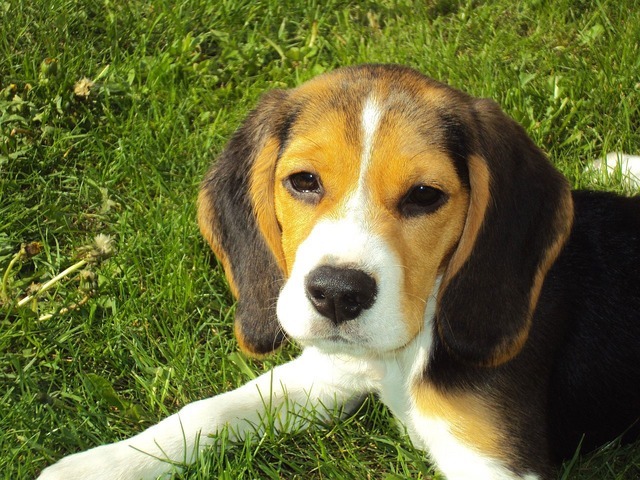 The Beagle is one of the more difficult breeds to train and doesn’t pick up new commands especially quickly. Training him to any standard can take some time. You might not know this about Beagles..! ... and they were tiny - 8 or 9 inches high! They’re one of the noisiest dogs ever - their baying sometimes drives people mad! Celebrities who own (or owned) Beagles! The Boxer is very lively, playful and energetic! He’s an affectionate dog and enjoys the attention of his human family. They’re notorious for knocking over ornaments, plants and even small children! But he’s fearless, he’s protective of his family and will guard them fiercely. The Boxer is relatively easy to train - he’s not the quickest but with a little patience he picks things up fairly easily. They often snore when they sleep! The longest dog tongue in the world was owned by a Boxer - it was 17 inches long! With its scrappy, exuberant personality the Miniature Schnauzer will fight any dog regardless of its size. He’s got lots of heart and lots of energy. He learns quickly and loves to play - but he will react sharply if he’s provoked or teased. The Schnauzer is territorial and will bark at the slightest sign of an intruder - which makes it an ideal guard dog. This intelligent breed quickly picks up new commands so training him is straightforward. You want more? Some facts about the Miniature Schnauzer! 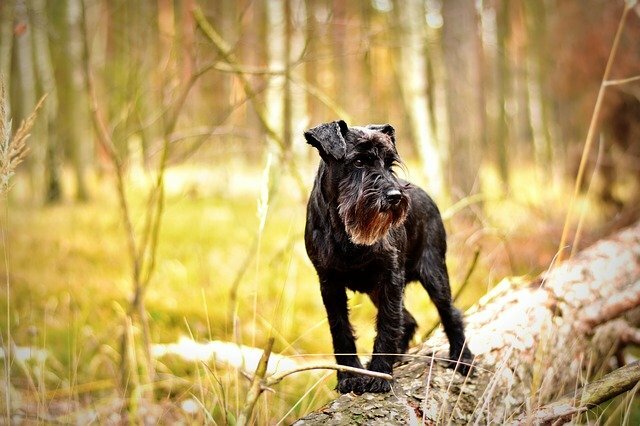 The first Miniature Schnauzer was called Findel! Paul Newman, Bob Dole, Rob Lowe, Steve McQueen, Janet Jackson, Katherine Heigl, Mary Tyler Moore, Bruce Lee, Sugar Ray Leonard, Avril Lavigne and Amy Grant. This sociable breed is affectionate at home and very accepting of strangers. He’s ideal for apartment living too - he’s small enough to get all his exercise scampering about indoors. One of the more difficult breeds to train he doesn’t learn new commands particularly well. You will achieve only limited success in your attempts. One of the oldest breeds - probably two thousand years old! The bulldog knows its own mind and makes its own decisions! He’ll obey your commands - if he wants to. This home-loving breed will happily sleep all day. He’s a good family pet though - loving and loyal. The bulldog is slow to pick up new commands - or, maybe, he just chooses to ignore them? Either way, training him can take a while and he won’t usually reach levels of obedience achieved by other breeds. Courageous and eager this breed is also lively and energetic and loves nothing more than to run and play. They’re athletic and love to explore. 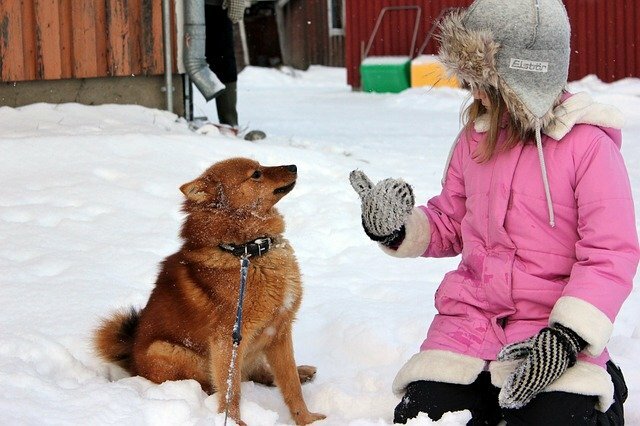 The Finnish Spitz is very loyal to its human family and is good with children. Hed eos need supervision with other dogs though. The Finnish Spitz learns quickly and trains well. They’re another very old breed - more than 2 thousand years old to be precise! The Finnish Spitz is the national dog of... yes, Finland! 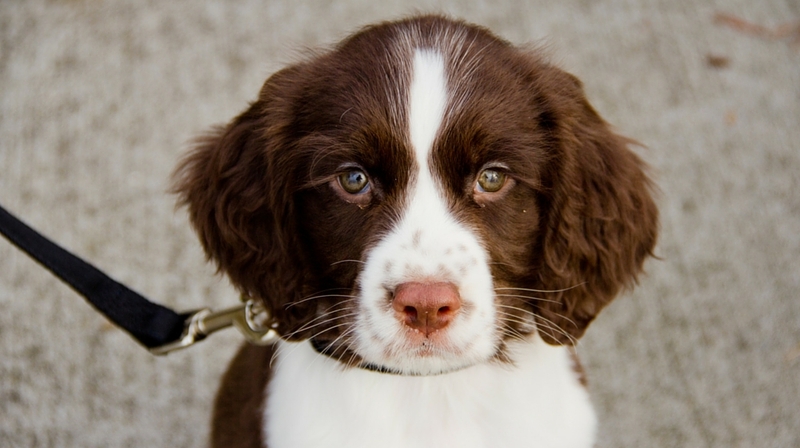 Full of energy and vigour the English Springer Spaniel will run, jump, swim and play all day. They are very social and require constant attention. They suffer if left unattended for too long. Springer Spaniels are obedient and quick to learn. They are amongst the easier breeds to train. English Cocker Spaniels and their famous owners! Highly sociable this breed dotes on its human family. He is both intelligent and very playful and is accepting of strangers and other dogs. 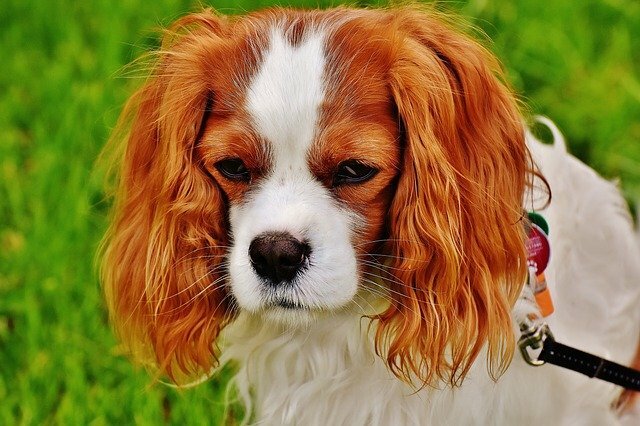 The King Charles Spaniel is one of the easier breeds to train; he is intelligent and will pick up new commands fairly easily. They used to be brought to bed so they’d attract fleas and prevent their owners from being bitten! They’re so keen to chase things they even chase cars! Good-natured and loving this breed is especially loyal to its human master. Their personalities vary - some will bark if a stranger approaches the front door, others will not. The French Bulldog is prone to bursts of activity but will sleep or lounge most of the day - so he’s quite comfortable living in an apartment environment. 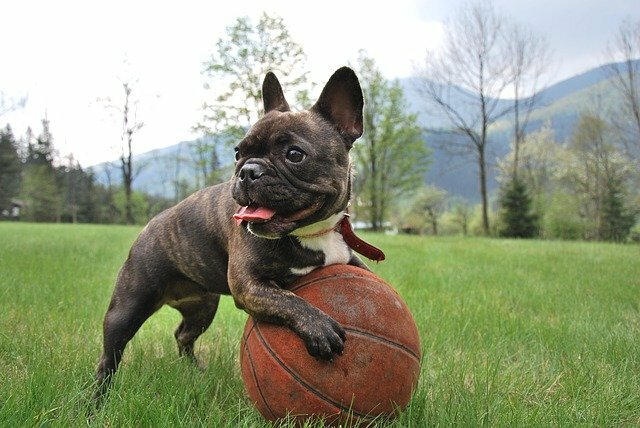 His slightly stubborn nature makes the French Bulldog a little more difficult to train than some breeds - but he will get there in the end if you are patient. Look who has owned a French Bulldog! Pugs are excellent companion dogs and will stick to their owner like glue. They are playful and affectionate, good with children and other dogs and do not like to be on their own. Their flat noses mean that if they over-exercise they can experience breathing difficulties so take care. 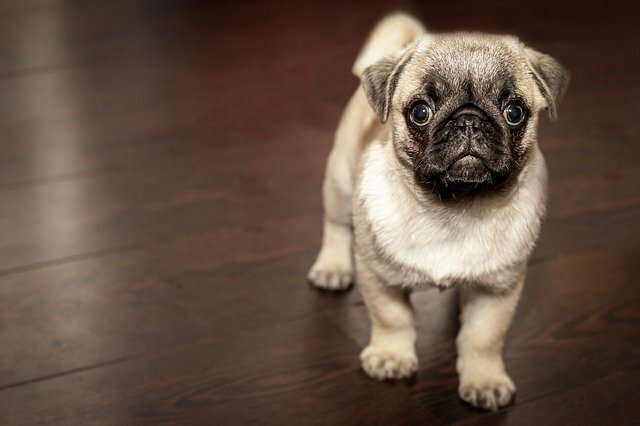 Pugs aren’t the easiest breeds to train; you’ll only get so far with them and that will take some time. Ancient Chinese emperors sometimes gave their lucky Pugs their own palaces and guards! A strong dog with power and endurance the Rottweiler is, nevertheless, a calm breed. He’s an ideal guard dog and very protective of his family and his territory. He doesn’t play well with other dogs and takes time to warm to strangers. 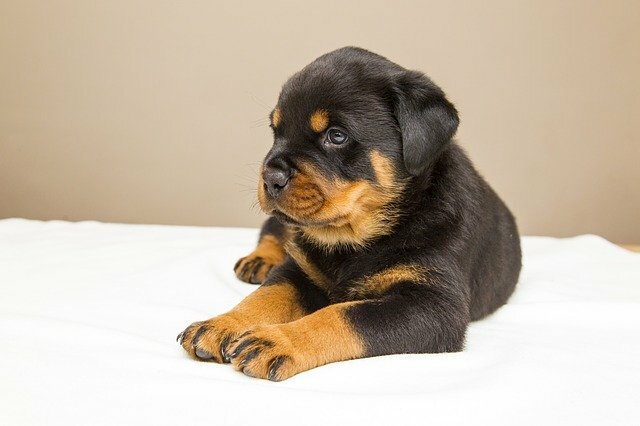 This independent -minded breed is also a highly intelligent one; Rottweilers are amongst the easiest of all breeds to train and will learn a variety of new commands quickly. Rottweilers snore in their sleep! This intelligent and eager breed learns quickly and trains well. Friendly, affectionate and gentle this breed wants to be stroked and picked up all the time. They get on well with children and other dogs. That said, they are fearless so if they get into a fight you will need to step in to protect them. Whilst not the easiest breed to train the Maltese isn’t the most difficult either. Take your time and he will eventually pick up all the basic commands. A fun and affectionate breed this dog loves its family and is a loyal member of the family. They are obedient and social but they require plenty of exercise - walking, running and even swimming. They thrive best in active families. A quick learner this intelligent dog learns new commands quickly making the English Springer Spaniel one of the easier breeds to train. They love to retrieve things - throw them a ball and they’ll bring it back to you all day long! They love water and will take any opportunity to jump in and swim! A highly energetic and very intelligent dog the German Short-haired Pointing (GSP for short) is a natural hunter. He needs to hunt and if living with a non-hunting family he must be given a daily outlet for his instincts. That must include lots of exercise that involves running, jumping and swimming. The Pointing dog is good with other pets and children and protects his territory vigilantly. A quick learner the German Short-haired Pointing dog is very much an easy-to-train breed. 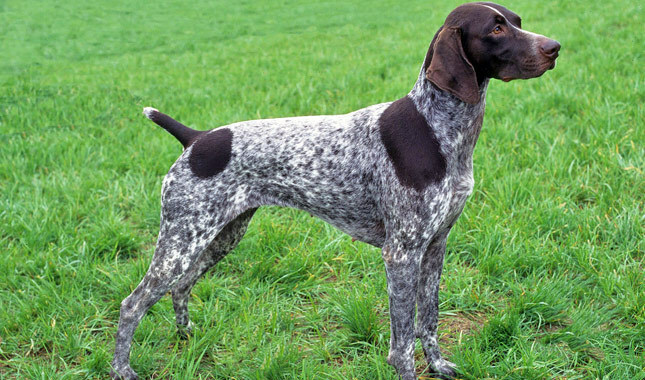 Fun facts about the German Short-Haired Pointing Dog! To achieve all this the GSP is a mix of breeds - including the Spanish Pointer, the English Pointer, the Dalmatian, the Weimaraner and the Vizsla. They mature slowly though and are still puppy-like until two years of age! A little on the small side - although sturdy and packing a bit of weight despite that - these courageous dogs are intelligent and love to play. And they need to play daily - coop them up or restrict their movements and they can be destructive. 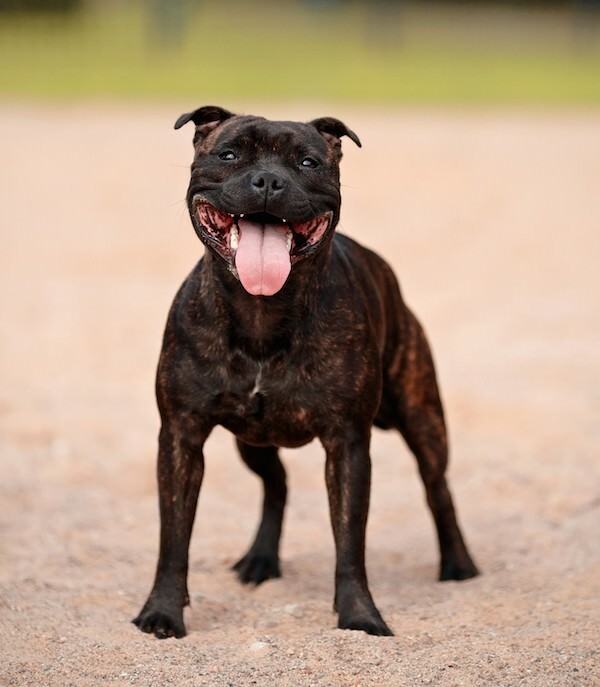 The Staffordshire Bull Terrier is fine with children but requires supervision with other dogs. A little stubborn, this breed needs some time and patience but will learn commands eventually. Staffies are actually fun-loving and loyal! Very intelligent and very active you have to keep a Border Collie mentally and physically engaged all day. A bored or unexercised Collie will become destructive - meaning he’ll chew and damage household items.Natural herders, if they don’t have an outlet for this instinct they’ll try to find it for themselves - which means they’ll even try to herd cars, joggers and children! The reward for properly looking after this breed is that you have an affectionate and devoted pet. The Collie is intelligent and a quick learner. You cannot train his herding instinct out of him but otherwise he’s very easy to train. 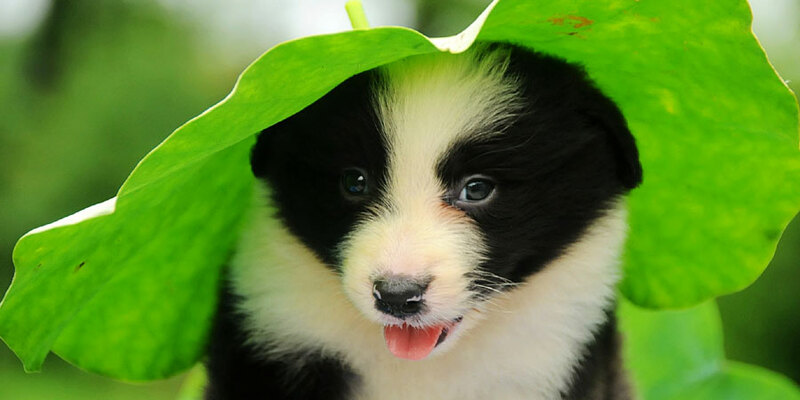 The first ever Border Collie was Old Hemp, born in 1893. He fathered over 200 pups! The cleverest dog ever is a Border Collie called Chaser - she learnt the specific names of more than 1000 unique toys! Affectionate, responsive and gentle this breed is a great family dog. 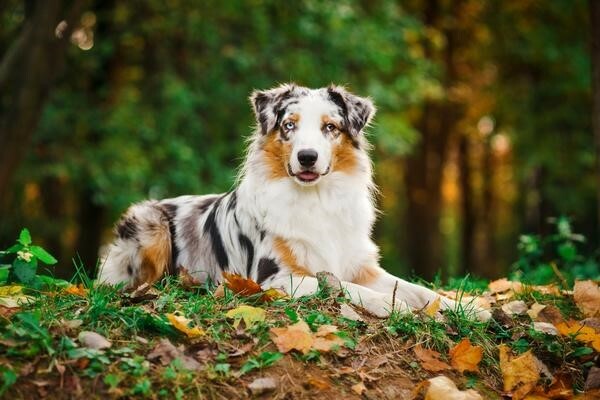 Shelties, as they’re known, play well with children and are very loyal. They need constant stimulation - stroking, running, jumping and playing. Shelties will bark if a stranger approaches the house so they have guard dog qualities too. 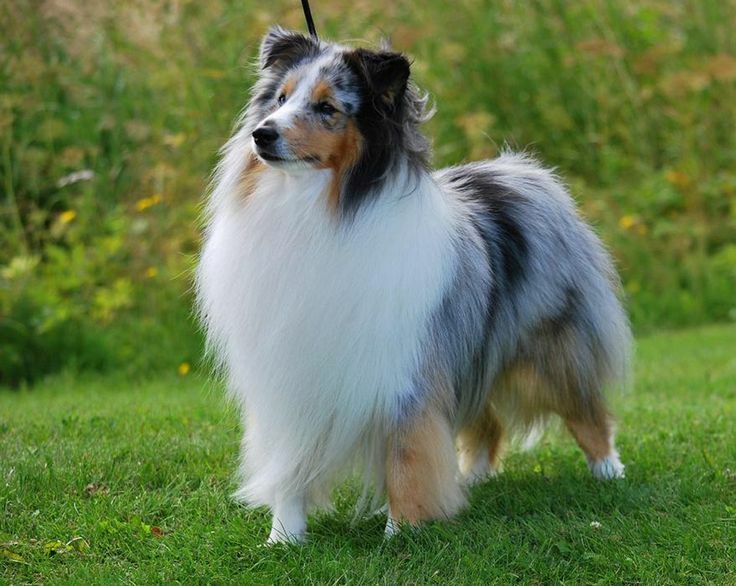 Shelties are easy to train - they pick up new commands quickly and are obedient. Their origins are unclear - it’s not known how this breed came about! They have a strong herding instinct and will even herd your kids! Keep them mentally stimulated! They become destructive when bored..
Look who owns/owned a Shetland Sheepdog! 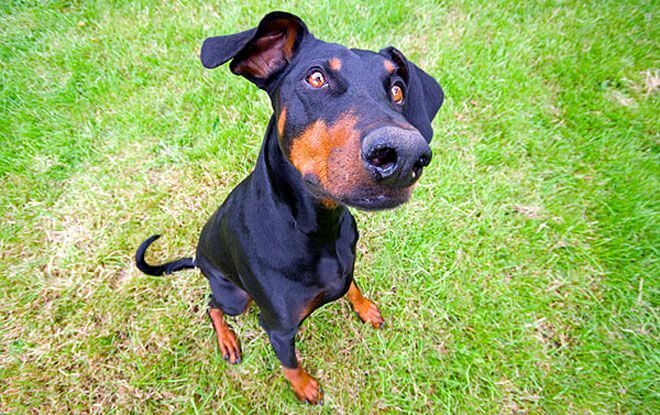 Dobermanns are a protective breed and will take great care of their human family and their home. They are obedient, loving and stable. They are physically and mentally active - both these traits need to be engaged every day for the Dobermann to not become restless. The Dobermann is easy to train - he’s intelligent and obedient by nature. They’re a fairly new breed - they originated in Germany in the late 19th century! His new breed consisted of lots of other breeds - including the Weimaraner, Rottweiler, Beauceron, Black and Tan Terrier, Great Dane, German Shorthaired Pointer, Manchester Terrier and Greyhound! 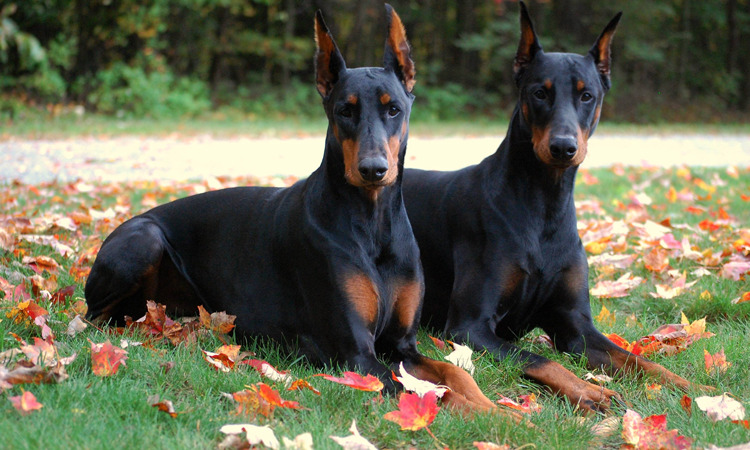 Dobermanns have been used as guard dogs, search and rescue dogs and other police work. Like others terriers this breed is energetic, stubborn, brave and feisty. They’ll fight any dog of any size and even at home their owners have to ensure this dog understands who is in charge. Being a more independent breed than others he isn’t so tactile with his human family - he’s happiest outside playing, running, chasing small animals and even swimming. He might not be ideal company for other small animals and is best suited to families with older children. 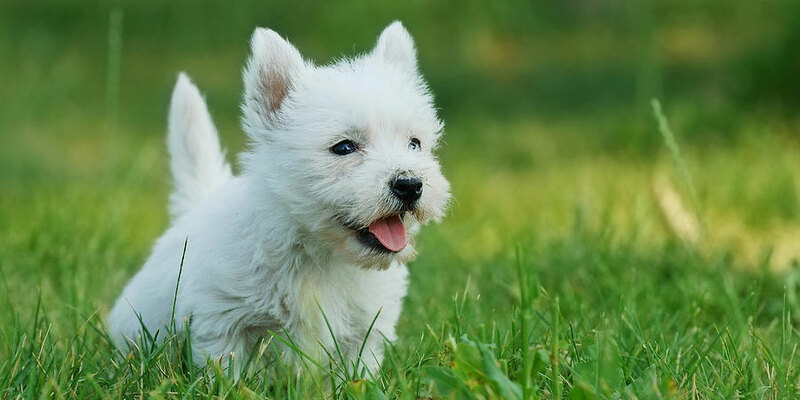 The West Highland White Terrier has an independent mind; he will learn new commands but not quite as quickly as some of the easier to train breeds. Westies are used to promote brands - the Juicy Couture company and the Black and White Whiskey company’s logos feature Westies! 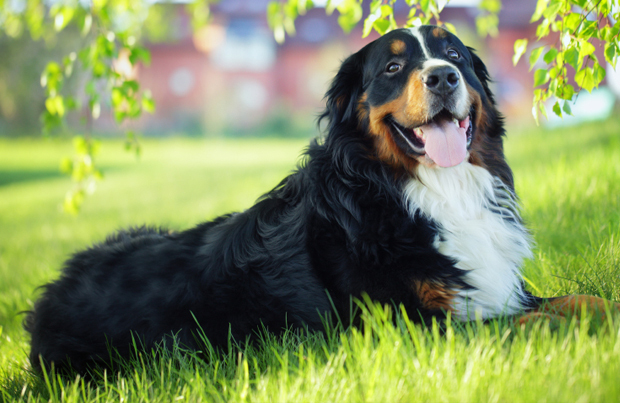 Bernese Mountain Dogs are loyal, protective family dogs - usually especially loyal to one particular family member. They’re active so require daily exercise. They live well with children and will bark at strangers approaching the door so they make good watchdogs too. Bernese Mountain Dogs are quick learners which makes them easy to train. Their predecessor was a mastiff brought to Switzerland by the Romans some 200o years ago! They used to pull carts in Switzerland; now, there are Bernese Mountain Dog cart-pulling contests! Despite his large size this somewhat fearsome-looking dog is a gentle, docile, devoted family dog. They require daily exercise although nothing too rigorous is needed - a long walk is sufficient. They’re gentle with children although their size makes them a little hazardous to younger toddlers! 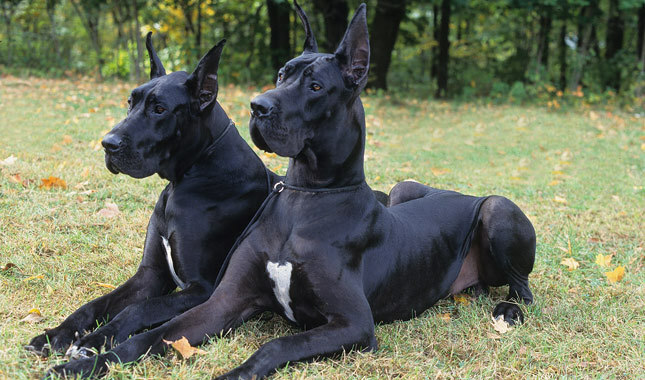 Not especially difficult to train the Great Dane will gradually pick up a range of commands. Zeus the Great Dane was the tallest dog in the world - 44 inches tall, over 7 feet when standing on his hind legs! Look who owns - or owned - a Great Dane! 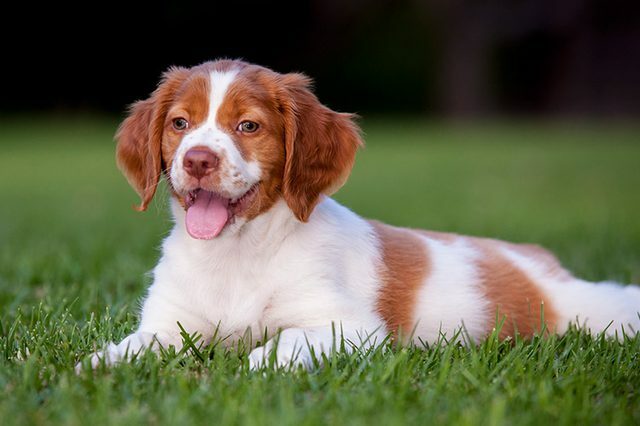 Another breed that was originally a hunting dog the Brittany Spaniel also needs physical and mental stimulation if it is to be happy in your home. This breed has a number of personalities but they are generally friendly, tactile and affectionate. The Brittany Spaniel is a quick learner so is easy to train. Possibly the result of crossing the Orange and White Setter with an unknown French breed - but nobody is actually sure..! They suffer separation anxiety - so don’t leave them alone for too long! 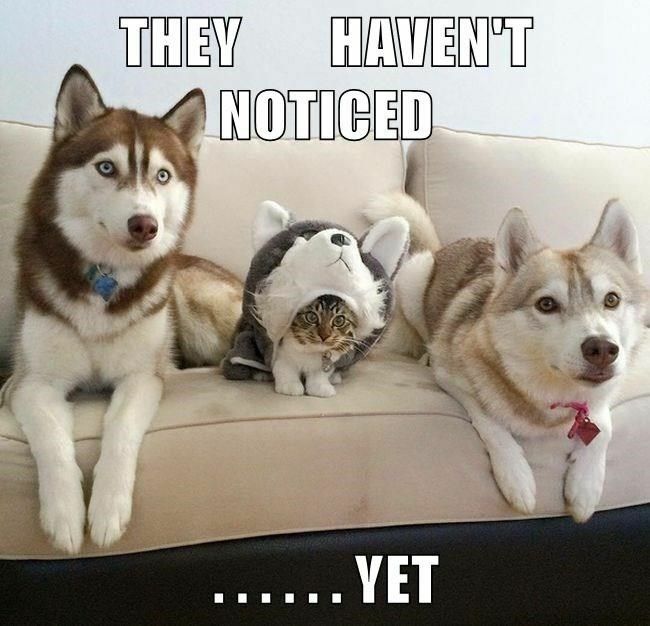 The Siberian Husky is outgoing, friendly and loyal. He is well-known as a very willing, high-endurance worker. He is good with other dogs and with children but he needs a daily outlet for all his energy. Responds well, learns fairly quickly. Very outgoing and highly intelligent this breed needs plenty of activity and some meaningful work in order to be happy and content with life. He’s very energetic and gets on well with children. With other dogs he may need some supervision. This breed knows its own mind; they pick up commands but do require some patience. 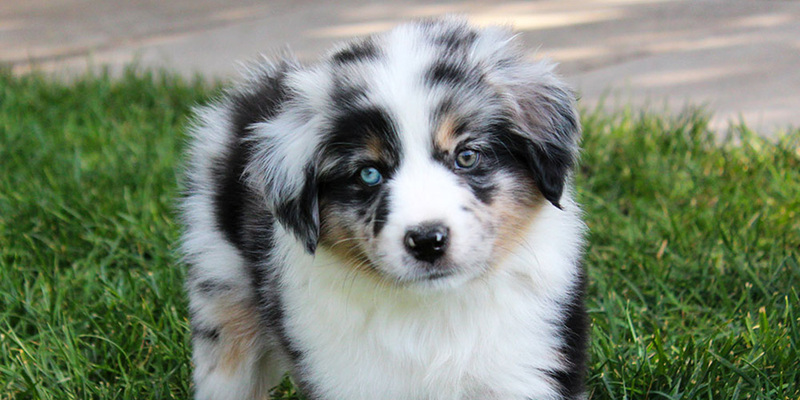 Although some Aussie Shepherds have different colours - hazel, green, amber or brown - and some have an eye of each colour! They’re another breed whose instinct to herd is so powerful they’ll sometimes herd anything that comes to hand - including kids! An alert and intelligent dog he is also gentle and affectionate. Despite his size he is an energetic worker and wants always to be active. He can be fine with children and other dogs but some supervision is recommended. This intelligent breed learns quite quickly and is one of the easier breed to train. 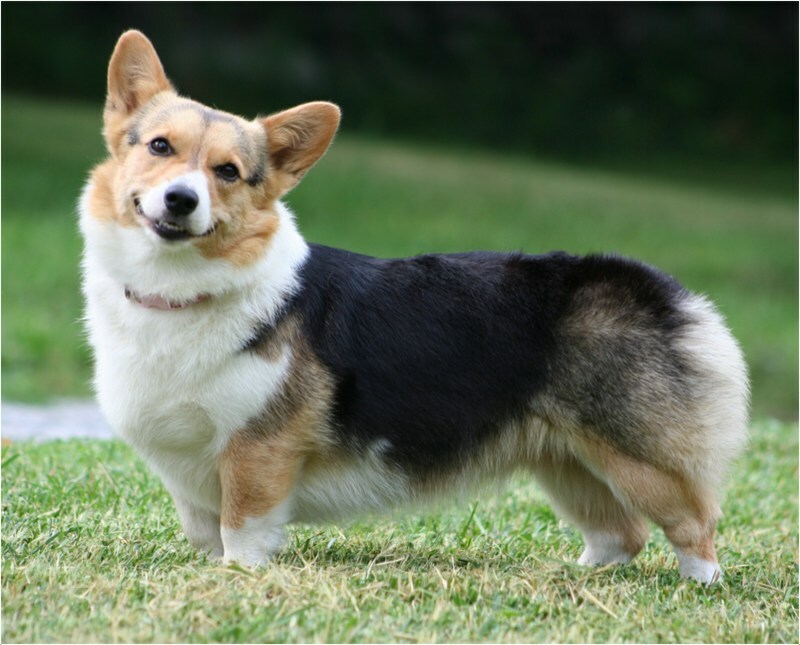 More about the Pembroke Welsh Corgi! According to Welsh legend this breed served fairies - pulling their coaches, working their cattle and even serving as the steed for fairy warriors! Despite being expert herders they’re also the smallest herder breed - they’re just a foot tall! Queen Elizabeth II, Jerry Brown, Ava Gardner, Betty White, Selma Blair, Stephen King, Tallulah Willis, Kirsty Allie, Alton Brown, Kiefer Sutherland. A fun-loving dog he is bright and enthusiastic. Boston terriers are good with children - although a little more wary with other dogs. This terrier is eager to please: he learns quickly making him one of the easier breeds to train. More about the Boston Terrier! 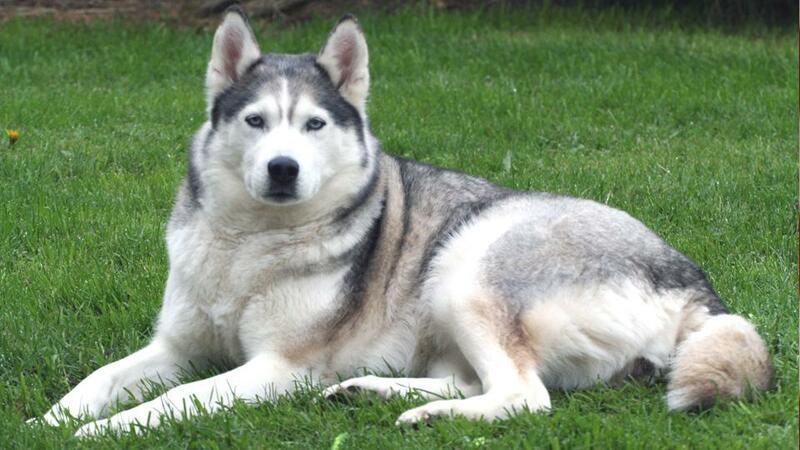 They are the first dog to have been bred in the United States. 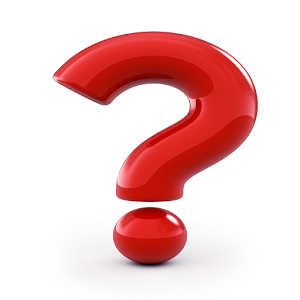 We’ll leave you to guess which city they originated from..! 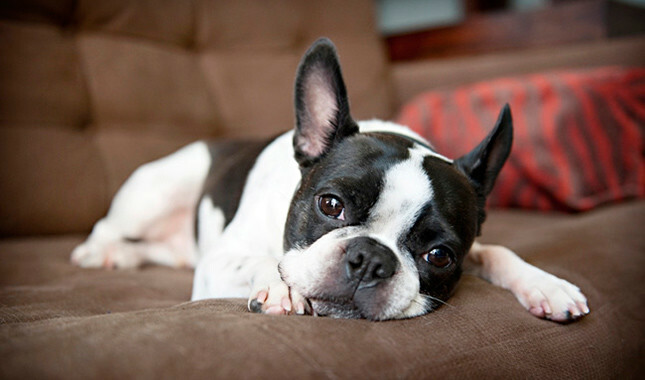 The Boston terrier has been designated the state dog of Massachusetts. They look like they’re dress up in a tuxedo - hence their nickname ‘the American gentleman’! They pass wind - a lot! Very outgoing, cocky even - this bold, lively breed is both active and a willing lapdog. They are okay with children and other dogs but some supervision is advisable. The Pomeranian responds well, learning commands quite quickly. 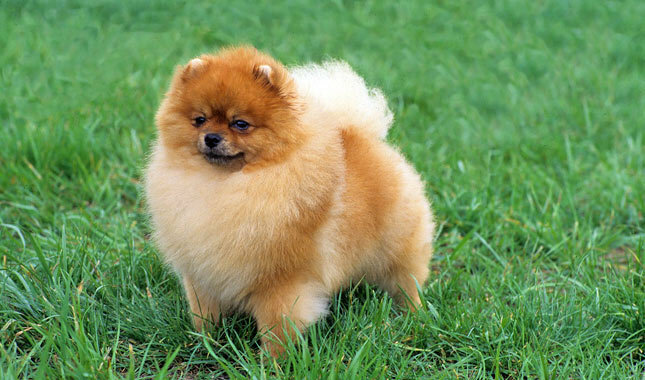 They’re nicknamed Poms because Pomeranian is a bit of a mouthful...! This small dog actually originates from much larger sled dogs - so they shrunk! Despite being little they’ll take on other breeds of any size. They need supervising when with other dogs! Mozart dedicated an aria to his Pom, while Michelangelo’s pom was by his side as he painted the Sistine Chapel! This dog is happy, sociable and outgoing; they enjoy play and exercise although they have no particular exercise requirements. They’re fine with children although best supervised in the presence of other dogs. 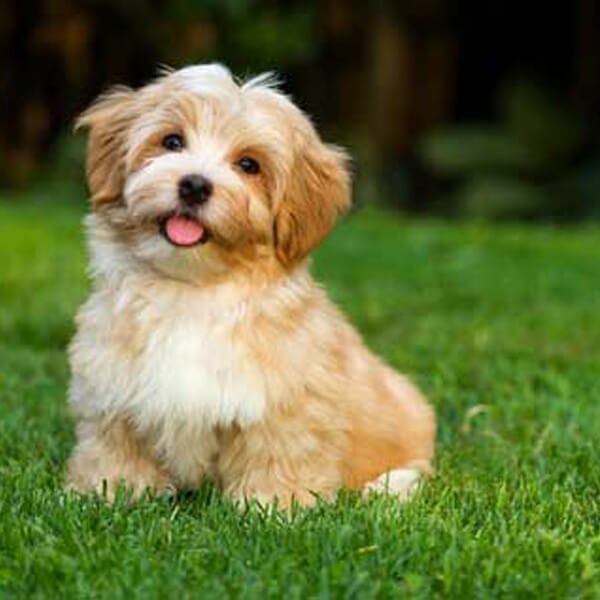 Havanese learn quickly and are eager to please making them quite easy to train. More fun facts about the Havanese! They do some wildly different jobs: herding ducks (! ), sniffing out termites and mold - even working in circuses! The breed was almost extinct in the 1960s; it was saved by a couple of Cuban families in the US who built it up again - from just 11 dogs! But tyere also known as ‘the Velcro dog’ for their tendency to stick by their owners’ sides! Despite being large and heavy the English Mastiff is dignified, good-natured and docile. They are energetic but are satisfied with long walks and some play. Mastiffs are fine with children but require some supervision with other dogs. Mastiffs learn well and are easy to train. 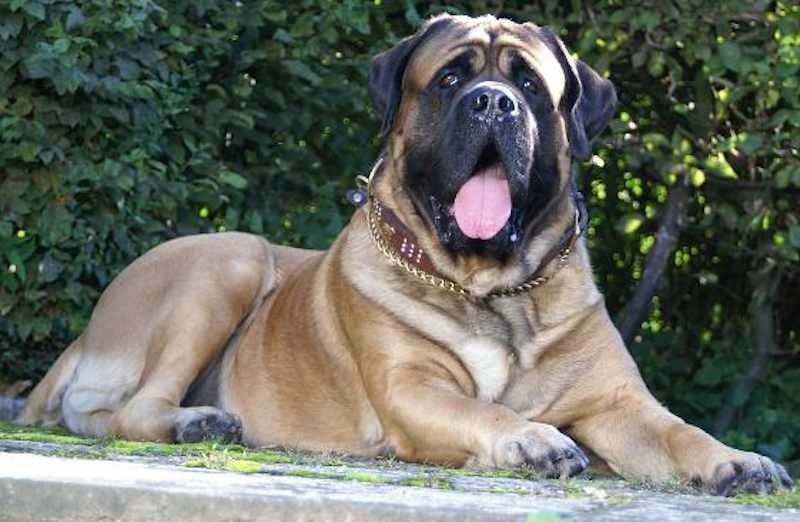 Mastiffs similar to the English Mastiff are known to have lived in Babylonia over 4500 years ago! They were used to hunt.... lions! Zorba the Mastiff was the largest dog in the world! In 1989 he was 37 inches high, 8 feet 3 inches from nose to tip of the tail and weighed in at 343 pounds! English Mastiffs have the biggest litters - typically 10 - 12 puppies but they also hold the record for most pups in one litter - 24! Celebrity owners of the English Mastiff! The Vizsla is a hunting dog, strong and energetic, who requires hard exercise on a daily basis. This affectionate breed is good with children although might need some supervision with other dogs. 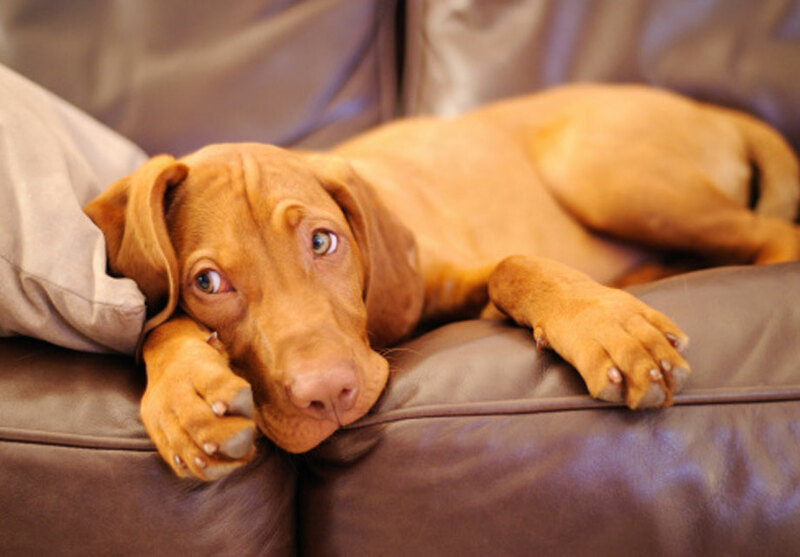 Very eager to please you will find the Vizsla learns new commands easily and can be trained quite quickly. 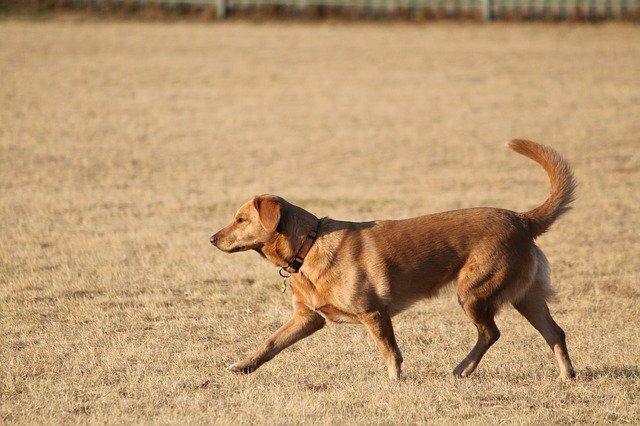 An athletic and strong dog this breed is both energetic and a fast runner. He’s fearless so makes a good guard dog and friendly and obedient so is good with children. Another quick learner, the Weimaraner is naturally obedient so is easy to train. The Weimaraner originates from 1800s Germany! 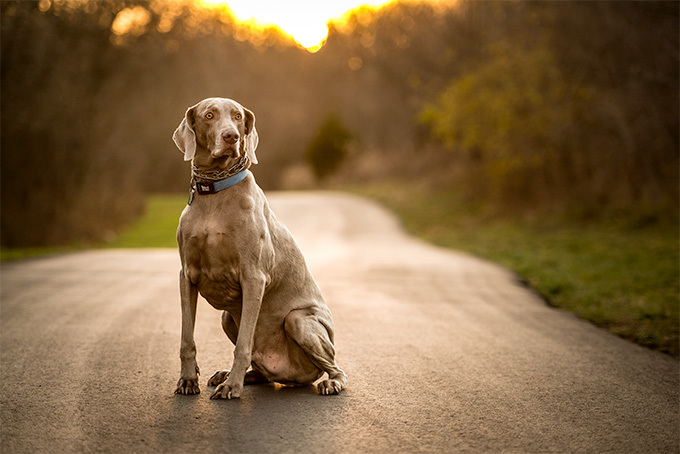 The Weimaraner is a mix of setter, pointer and hound! Weimaraner puppies have stripes! They disappear in time, of course..
A good-natured and friendly breed, he’s loyal to his human family and good with both children and other dogs. He’s energetic, eager to please and intelligent. This intelligent, obedient and eager to please breed picks up commands quickly and is easy to train. They’re 13 - 18 inches tall! Very patient although sometimes stubborn; the Basset Hound is one of the less energetic breeds although he still requires daily walks in order to stay healthy. They’re good with children and other dogs. The Basset learns quickly and trains easily. First - the name: bas is French for ‘low’ or ‘short’! 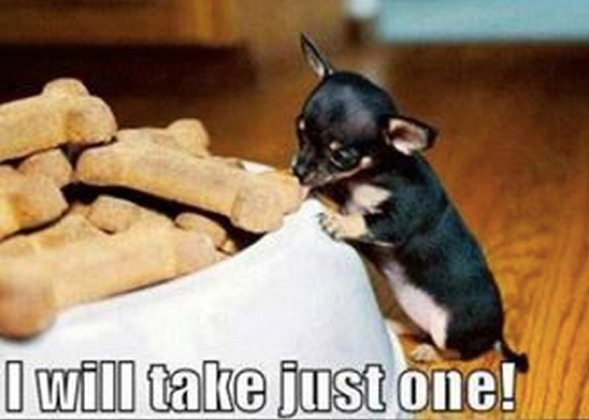 But they’re solid dogs - only 14 inches tall but they weigh in at a crunching 50-60 pounds! 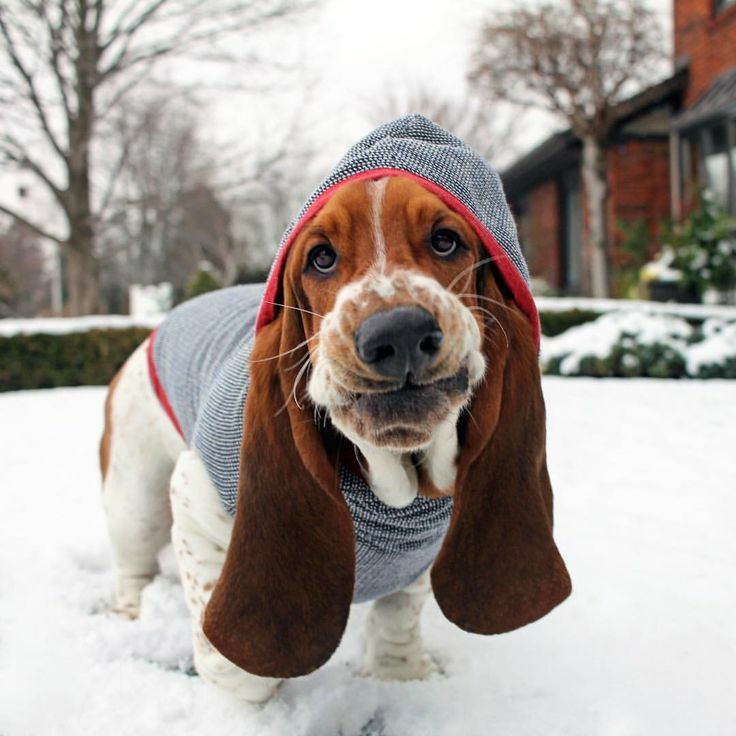 Their close-to-the-ground build means the Basset gets dirty quicker than the average dog! This large, heavy and fearsome-looking breed make ideal guard-dogs. Assertive and confident by nature Cane Corsos are actually docile and loyal animals in the home. They’re best supervised if children or other dogs are present. Responds well to training and picks up new commands quite quickly. 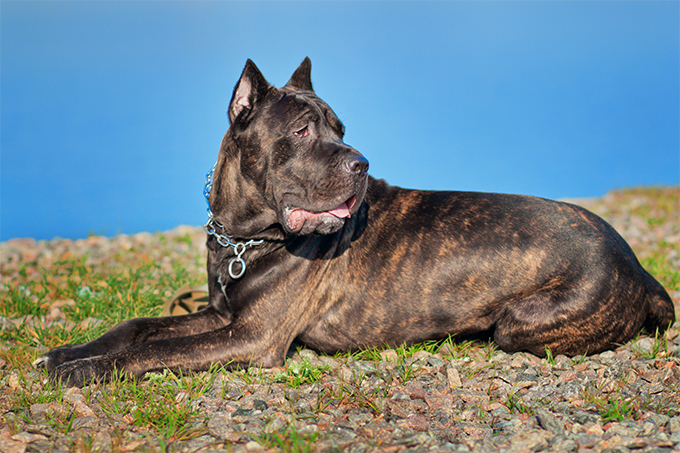 The Cane Corso is Italian! They see cats and even small dogs as prey - so beware! Originally bred to hunt lions this large, muscular breed has an even temperament and is loving towards his human family. He’s athletic so needs plenty of exercise. Rhodesian Ridgebacks are good with children but require some supervision with other dogs. He responds well to training and learns commands quickly. 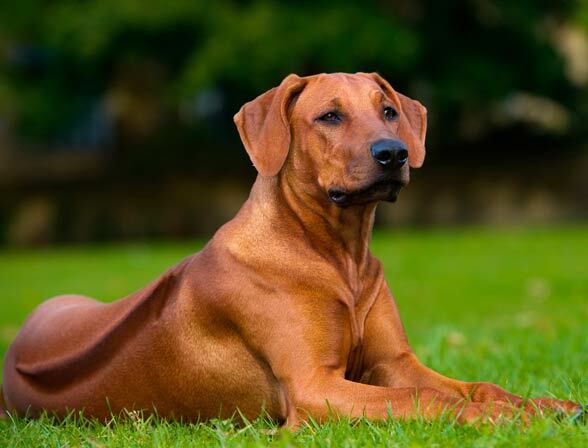 More fun facts about the Rhodesian Ridgeback! They like cats - if they’re raised with them they’ll be lifelong friends! This strong and powerful breed is also loving and family-oriented. The love the outdoors and will run, play and swim all day long. 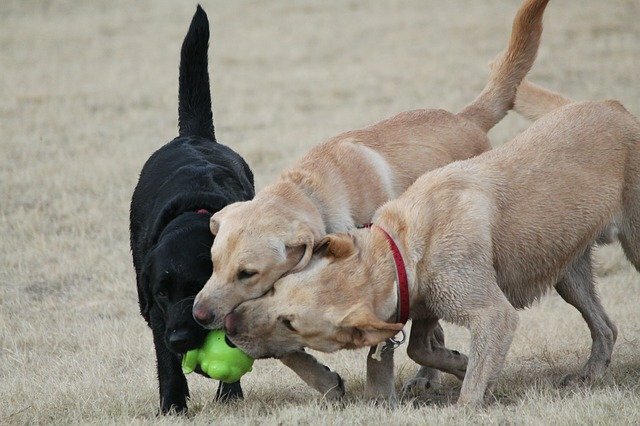 These Retrievers are easy to train, they respond well to instruction and pick up new commands quickly. Fun Chesapeake Bay Retriever facts! 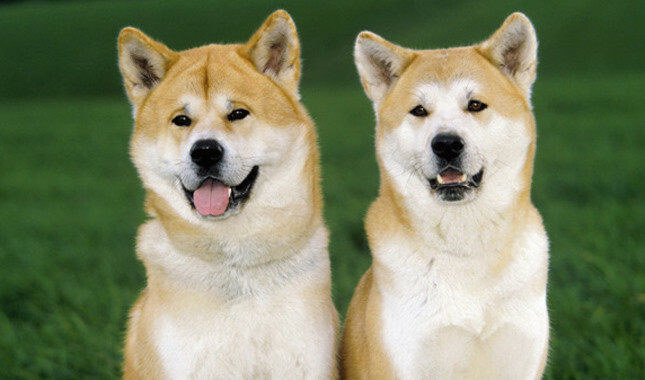 Active and muscular Shiba Inu are confident dogs, always alert and very active. They need long daily walks and are good with children. Fun facts about the Shiba Inu! They’re hunters and they will go after birds, boars - even bears! 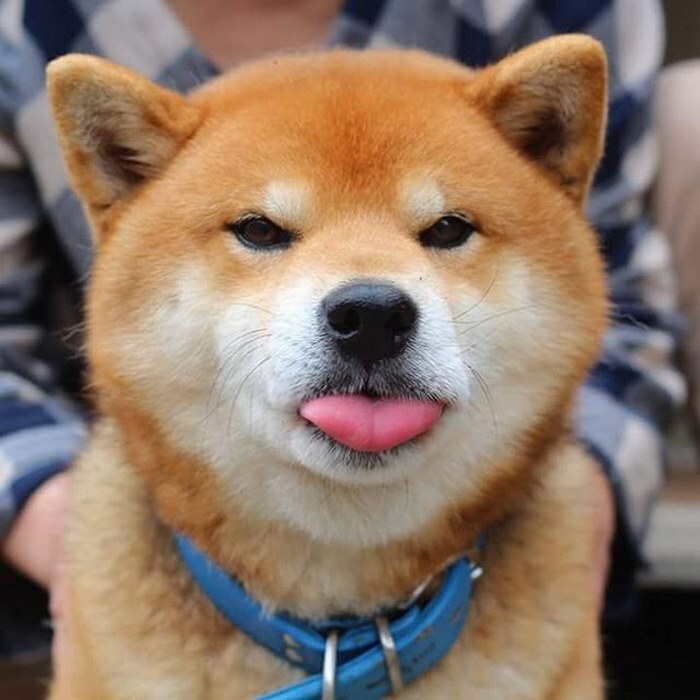 The Shiba Inu is very clean and will groom itself - even licking its own paws like a cat! Cheerful, playful and with a sense of curiosity this breed gets on with everyone - adults, children, other dogs. 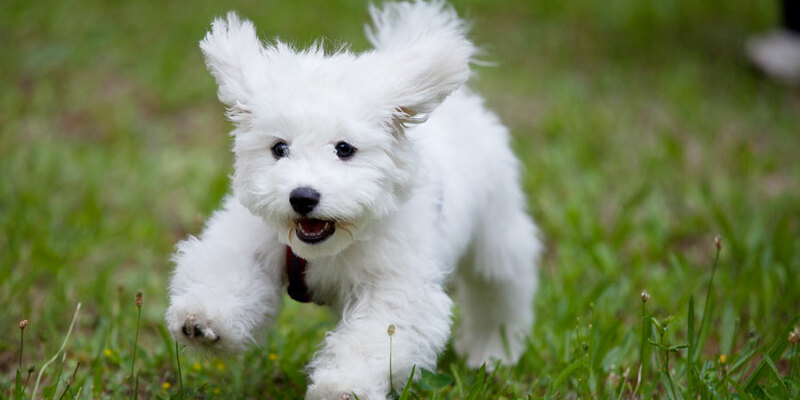 Your Bichon Frise has a lot of energy but a regular, daily walk is enough to satisfy his exercise requirements. 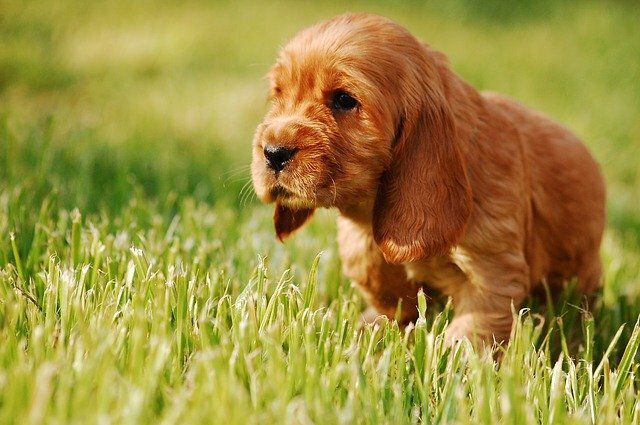 These small dogs respond well to training and will pick up new commands quickly. Some Bichon Frise fun facts! ‘Frise’ means ‘curly’ - a reference to the breed’s curly locks! These big, courageous dogs love their human owners and are deeply loyal. They enjoy regular exercise but they’re not overly energetic. Best not left with children unsupervised - and they don’t much get along with other dogs. Akitas are eager to please so respond well to training and learn quickly. Akitas are clean and groom themselves like cats! The Akita’s signature feature is its tail which curls so much it touches his back! Tall and strong Belgian Malinois are hardworking, self-assured dogs who are very loyal to their human families. They’re very energetic and need lots of exercise. They get on well enough with children and other dogs but supervision is recommended. 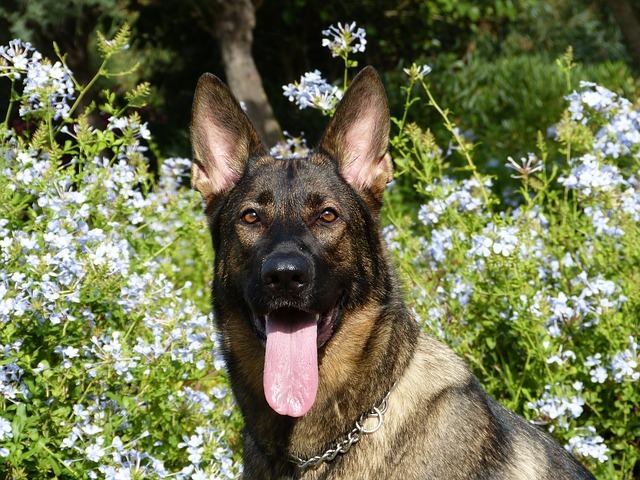 The Belgian Malinois is eager to please - he picks up commands quickly so is pretty easy to train. 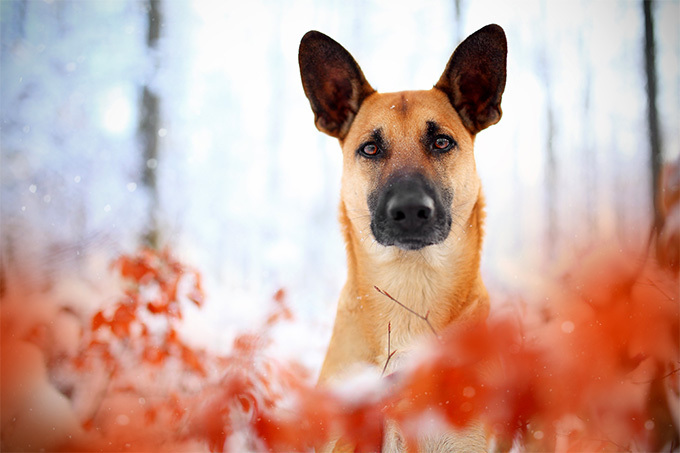 Some interesting facts about the Belgian Malinois! Celebs who own(ed) a Belgian Malinois! A large, imposing breed the St Bernard is actually a patient, friendly dog. He’s very good with children, less so with other dogs. St Bernard’s pick up commands well and are easy to train. Fun facts about the St Bernard! 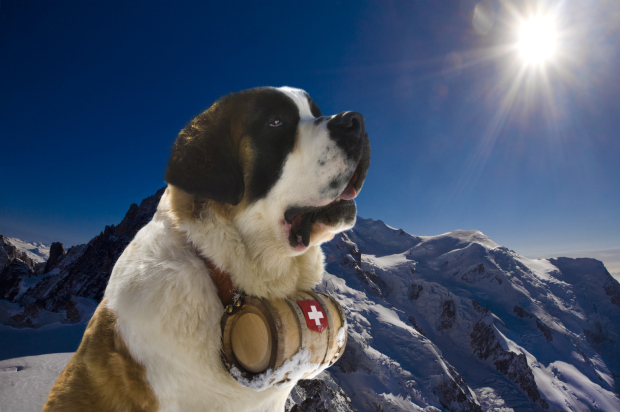 The St Bernard came about when Hannibal’s Mastiffs bred with local dogs in the Alps! They grow from very light - 1.5 pounds at birth - to very large - up to 180 pounds as adult! The most famous St Bernard - called Barry - rescued more than 50 people! A friendly, cheerful breed, the Soft-coated Wheaten Terrier is devoted to his human family and fine with slightly older children. Despite some stubbornness this breed’s desire to please ensures they learn quickly and are easily trained. 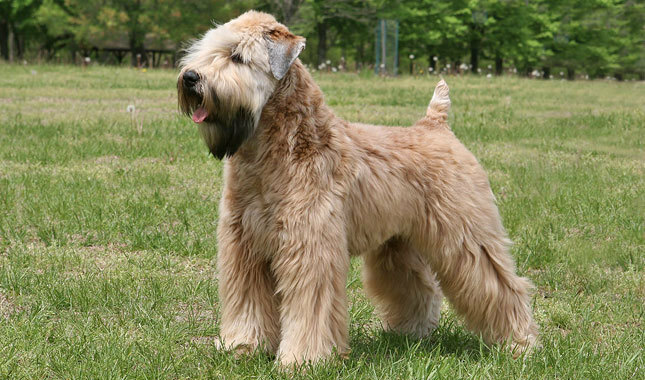 Fun facts about the Soft-coated Wheaten Terrier! This breed is native to Ireland! Although the adults are wheaten in colour they start life as dark brown puppies! 1. Is your home safe and secure; will it provide the space and facilities (eg sleeping area) for your new family member? Are you ready to invest in an invisible dog fence to protect your dog? 2. Does everybody in your home actually want a dog? Will they share some of the exercising and grooming tasks - especially if you’re away or ill? Your dog wants to be welcomed by all and not ignored by individuals who wish he wasn’t there. 3. 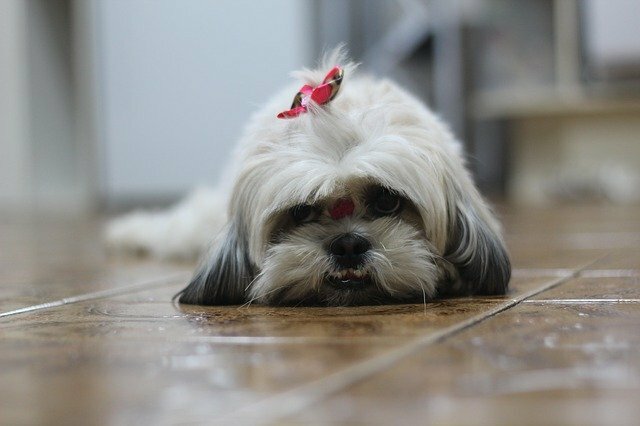 Do you know how much time will be required to exercise and groom your new dog? Can you estimate it in hours per day? Do you have that time - every day, 7 days per week? 4. You’re legally responsible for anything your dog does: will you spend the time necessary for his training and socialisation? 5. Dogs can be expensive! Can you afford not only his daily dog food bills but grooming costs, vet bills and the regular vaccinations and worming that will keep him happy? And what about kennel fees for when you go away on holiday? Look at the size of the breed you’re considering; look at its temperament, its exercise requirements, its ability to get on with children and other dogs. All these factors matter. Don’t buy a breed simply because it looks good!